The Licentiate is designed to prepare the student for clinical practise as a Medical Herbalist in the tradition of Master Herbalism. As such it covers the subject of herbal medicine in depth with a particular emphasis on the use of Irish herbs. There is a growing demand for this kind of professional service as people return to safer, more effective and less invasive forms of healing. While the primary emphasis of this course is on herbalism, natural healing protocols, vitalist nutrition and detoxification regimes are also covered. Master Herbalists use Iridology as the health assessment tool and students become qualified in this modality during the first two years of the course. Iridology is a natural non invasive diagnostic tool. It is used to suggest a particular healing regime for each patient. This assessment tool points to the key areas of the emotional and physical health of a person that may need attention and suggests specific methods of treatment. Most people who take part in this course are mature and often in full time employment, raising a family or both. With this in mind the academic content of the course is delivered entirely through on-line learning allowing for the face-to-face experiences of the student to be entirely dedicated to clinical training. The college places great emphasis on clinical training and the course is essentially built around the apprenticeship model. Clinical training is provided by the college at its busy herbal clinic at the Old Rectory in Portlaoise and also in Maynooth University Conference Centre. "Clinical training is by far the most important component of any professional training in medicine or natural healing. It allows the student to experience the reality of working in a clinic and dispensing herbal medicines"
Apart from the required subjects such as plant chemistry, botany and human and clinical sciences, vitalist nutritional principles or the belief that plant based and living food is optimal for health is central to the teaching of Master Herbalism. On completion of the first two years of the Herbal Medicine Programme, students can be awarded the Vitalist Nutrition Diploma allowing them to start practicing as a Nutritionist and Iridologist. This means that they can also use the herbal knowledge they have gained to recommend their patients to use herbal products available in health food stores, alongside specific dietary and lifestyle advice. In order to be qualified to dispense and to practice as a Master Herbalist, students must complete the full four year programme. Extra curricular activities such as herb identification trips are organised each year. In the past the College has offered many trips to Tuscany in Italy to see the largest museum of herbal medicine in Europe. Students also visit an organic herb preparation facility which has eighteen hundred acres of herb growing. Another such trip is planned for Spring 2017. The Master Herbalist Programme is part-time in terms of attendance. In terms of study however, it is equivalent in commitment to a full time course. The academic content of the course is entirely delivered on-line. The course is designed with the maximum use of on-line resources including: podcasts, videos and discussion forums. Students are assigned a personal tutor who is in charge of moderating student groups and online activities and is always available to deal with students queries. Because of the on-line nature of the course delivery attendance at the school’s clinic and at the conference centre in Maynooth is dedicated to the completion of the 600 clinical training hours required by the programme. Each academic year a student is required to attend an average of twelve days in the School’s clinic in Portlaoise and three weekends in Maynooth University Conference and Accommodation Centre. 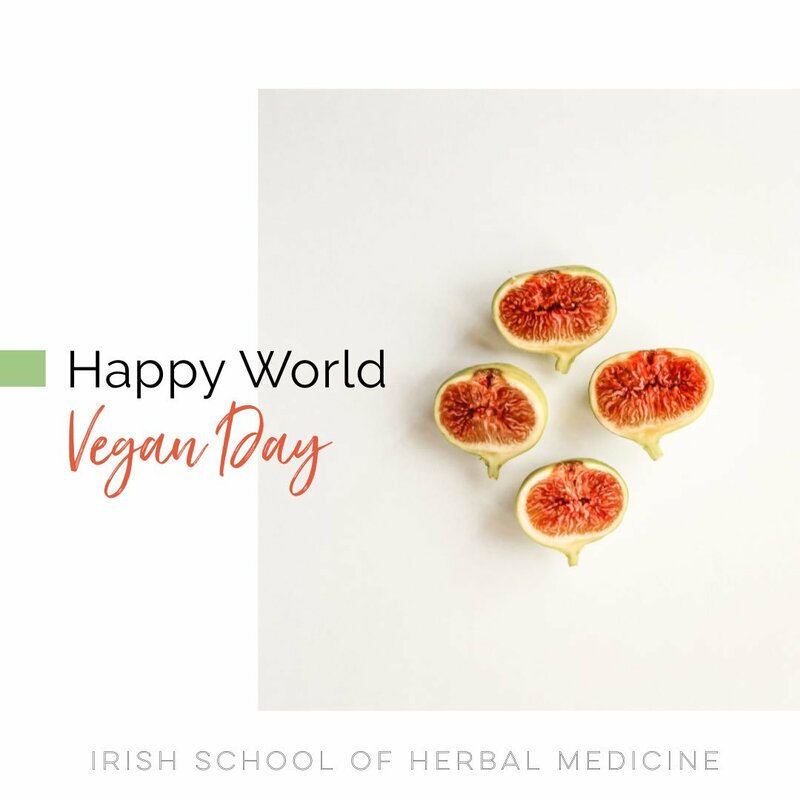 On successful completion of the course, the examination and clinical training, students will receive a Licentiate in Master Herbalism from the Irish School of Herbal Medicine. Graduates can join The Irish Association of Master Medical Herbalists. Study fees are €2,850 per year. This includes full clinical training each year. An optional payment plan is available on request. To register for a place on the course applicants should first arrange an interview with the Course Director. Places are allocated based on this interview/discussion during which students can also have further questions answered. Please phone the College to make an appointment for same. To download and print Application Form click here. The form should be filled in and either scanned and emailed, or posted to the College address. It is also possible to complete the application form when attending the interview at the College. How many days of clinical training must I attend yearly? Clinical training is provided on weekdays at the School Clinic in the Old Rectory in Portlaoise. Available dates are released 3-4 months in advance. Students can choose to do one to five days at a time, depending on their work and/or family situation and the distance they have to travel. Students need to complete approximately twelve such days per year at the School's Clinic. The College also offers three pre-determined weekend dates in November, March and June each year. These take place at Maynooth University Conference Centre, South Campus. I am not living in Ireland. Will it be possible for me to complete the programme? Yes. Overseas students can complete the course by attending a block of clinical training days two to three times per year. These days would include two to three of the Maynooth University weekends and days immediately after or before at the School Clinic. Are there any extra classes that are compulsory? No. All of the academic material of the course is delivered online. However, from time to time the College hosts events which might be of interest to students but these are not compulsory. What is the nature of the online learning? Students belong to students groups each one of which has a group tutor. There are discussion forums to which students are expected to regularly contribute i.e. every second or third day at the least, and more if possible. These provide lively debate and act as a support for student learning. Your tutor is always available to answer any questions that you may have about the course structure, or any other matters. How are my studies assessed? Assessment is continous and students will submit an assignment every three weeks. These are usually essay in style but where possible include student project work like home preparation of remedies, and the uploading of photographs, audio or video to document the work. Students must complete ten case histories in Iridology by the end of second year. There is also a short written examination on Materia Medica and Pathology at the end of the four year programme. What is the nature of the qualification I will be awarded at the end of the programme and what does it allow me to do? The training at The Irish School of Herbal Medicine is practical and apprenticeship based. Our Licentiate allows you to join The Irish Association of Master Medical Herbalists, qualify for professional indemnity and practise as a Master Medical Herbalist. Can I use my qualification to practise abroad? Each country has entirely different legislation regarding herbal medicine practice. Prospective applicants need to look into the exact legislation in any country in which they might wish to do so.